David Villa. Provided by NYCFC. 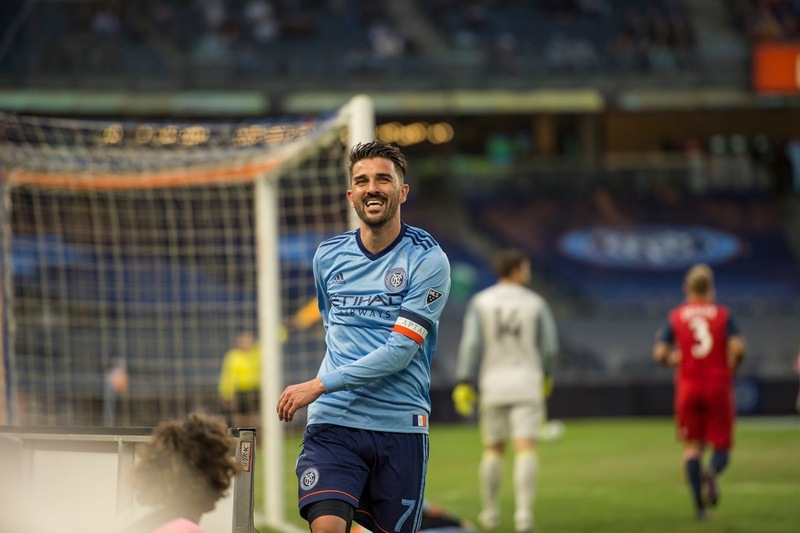 New York City Football Club's David Villa has been forced to withdraw from this week’s MLS All-Star Game due to injury. The Spanish striker, who has scored eight goals in 10 starts this season, has missed NYCFC’s last six games and will not be ready to return for the game vs. Juventus at the Mercedes Benz Arena. As a result of missing the All-Star Game, Villa is automatically unable to take part in next weekend’s home game vs. Vancouver Whitecaps at Yankee Stadium, per MLS rules. That rule makes absolutely no sense, as a player should not be penalized for missing an exhibition game. To have the penalty be that the player is forced out of the next regular season game is insanely harsh. It will be the first MLS All-Star Game David has missed in his four years in the league. Alex Ring will travel to Atlanta and could participate in his first All-Star Game after serving a one-game suspension for yellow card accumulation on Sunday. The MLS All-Star Game, presented by Target, takes place on Wednesday night at 7.30pm ET.